BOSTON—September 27, 2018 – In light of World Rabies Day (September 28th) international animal welfare organization FOUR PAWS today announced its new, massive project in Myanmar: within three years, FOUR PAWS plans to vaccinate one million dogs and cats against rabies. This project reinforces Myanmar's plan to eradicate rabies by 2030. The support is urgently needed in the region. According to the World Health Organization (WHO), around 1,000 people die as a result of infectious animal bites in Myanmar each year. FOUR PAWS and Myanmar’s Livestock Breeding and Veterinary Department (LBVD) plan to start a new era in the fight against rabies. The plan calls for one million dogs and cats—most free roaming-- to be vaccinated between February 2019 and December 31. FOUR PAWS will not only support the effort with 500,000 vaccines, providing international experts and necessary equipment for catching, tagging and data collection, but will also be responsible for the implementation of the mass vaccination program. LBVD will provide the remainder of the needed vaccines and secure the human resources on a national level. A team of roughly 100 people is going to carry out the vaccinations in the Nay Py Taw Union Territory, Yangon Region, Mandalay Region, Bago Region and Rakhine State. Together with LBVD as well as local and international veterinarians, FOUR PAWS tested the program with two pilot projects in Myanmar in March and May 2018. The team vaccinated 59,058 animals in 516 villages and the main towns in the Townships of Lewe and Nyaung-U, both located in the Mandalay Region. FOUR PAWS flanked its efforts in the field with an additional education and awareness campaign in the region. 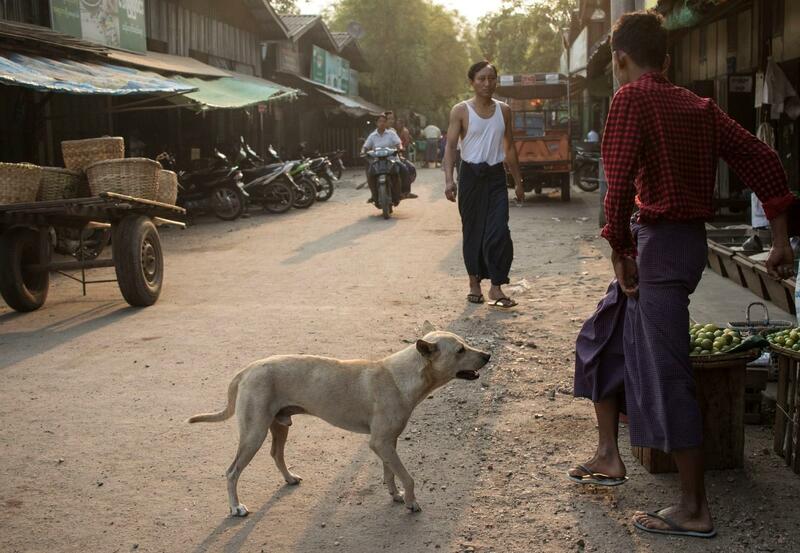 Myanmar supports WHO's worldwide goal of stopping the transmission of rabies from dogs to humans from 2030 onwards. The starting situation, however, is not an easy one. According to LBVD, of the estimated four million dogs in the country, 70% of them are assumed to be strays. In 2017, nearly 62,000 people were bitten by dogs; 40% of those bitten were children under the age of fifteen. About 1,000 of these bites turned deadly as a result of rabies infections – but there is hope.